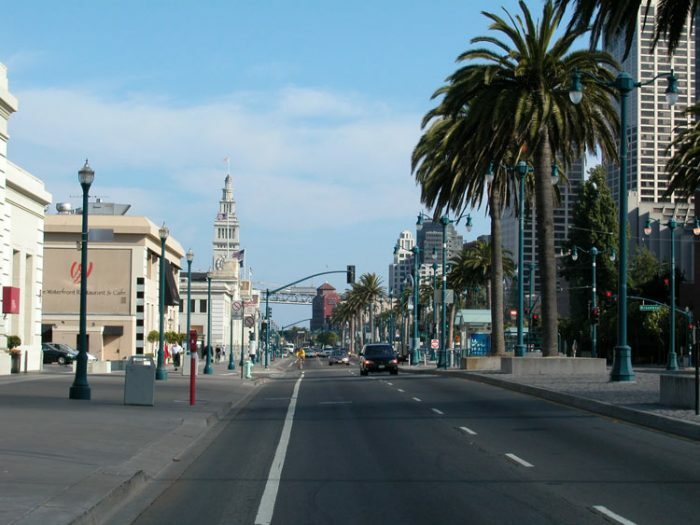 The Embarcadero has been improved and rejuvenated since the 1989 earthquake and the decision to remove (and not rebuild) the highway that was badly damaged. There are numerous options to run along the Embarcadero, mainly depending on where you start and how long you want to run for. From AT&T Park to the end of Fisherman’s Wharf is 3.4 miles one way. Key landmarks along the way, starting at AT&T Park and heading northwest, are: Bay Bridge, Market St., the Exploratorium, Alcatraz Ferry, Pier 41 (ferry to Sausalito), Fisherman’s Wharf, and Ghirardelli Square.We end at Marina Park, but there are options to continue around the park at up the hill to Fort Mason and on to Crissy Field.